GarageBand is going international. 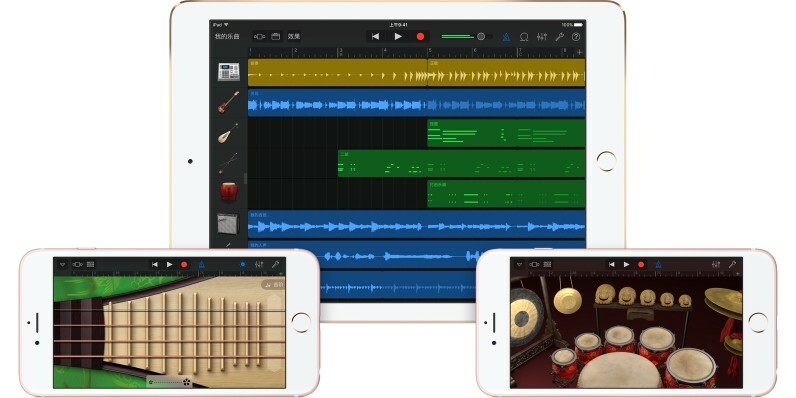 Today, Apple is updating its music app with support for new Chinese instruments, as well as sharing to popular Asian social services QQ and Youku. The app now supports the pipa, erhu and Chinese percussion instruments, which Apple notes (pun!) can be played on an iPhone or iPad using multi-touch. Those with an iPhone 6S or 6S Plus can use 3D Touch to better control vibrations for the erhu and pipa. Macs can utilize third-party USB music keyboards to play on the desktop. Apple has also created 300 loops using Chinese instruments and styles, borrowing from uzheng, dizi, yangqin and Peking Opera. There are also two new Live Loops (one traditional and one modern) for iOS that utilize Chinese templates.